If you really want to get to the heart and soul of a city, the trick is to experience it the same way the locals do. Well, we’re here to be your Sydney city guide! Here’s how you can experience this vibrant city from the perspective of a true local. There aren’t many cities in the world where you can commute to work by ferry, but in Sydney it’s a daily journey for many residents. 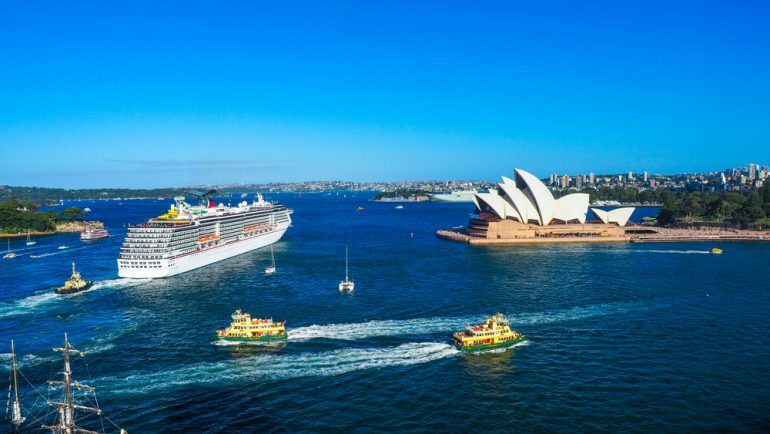 You can hop on the iconic boats at various locations to explore the city, and the trip from our Parramatta locations down the river to Sydney Harbour provides some fantastic views from the water. The Sydney locals appreciate a great coffee and if you follow the crowds you generally can’t go wrong. Bay Ten Espresso near our North Sydney apartments offers cold brew coffee and tasty lunches in a cool under-bridge location for some of Sydney’s best cheap eats, or try Tetsuya’s French-Asian fusion and fresh flavours for a romantic date or celebration. If you’re living like a Sydney local, then you need to make your way to at least one of the gorgeous beaches in the area to soak up some sun and maybe even try your hand at surfing. Whether you’re in Bondi, Manly or Coogee, enjoy a leisurely morning swim and follow with a flat white at a nearby beach café with the sand still on your feet. Sydney-siders know how to live life to the full, and they know how to find a great view. While you’re in town make a beeline for the best holiday accommodation in Sydney with Meriton Serviced Apartments. Whether you’re joining the locals in Parramatta, North Sydney or right in the heart of the city, you’ll be treated to some of the best scenery and interior styling in the city.